With the record breaking amount of snow this year in Boston, we are very ready for spring and to see our grass and flowers again. I think I have seen enough snow this year for the next few. 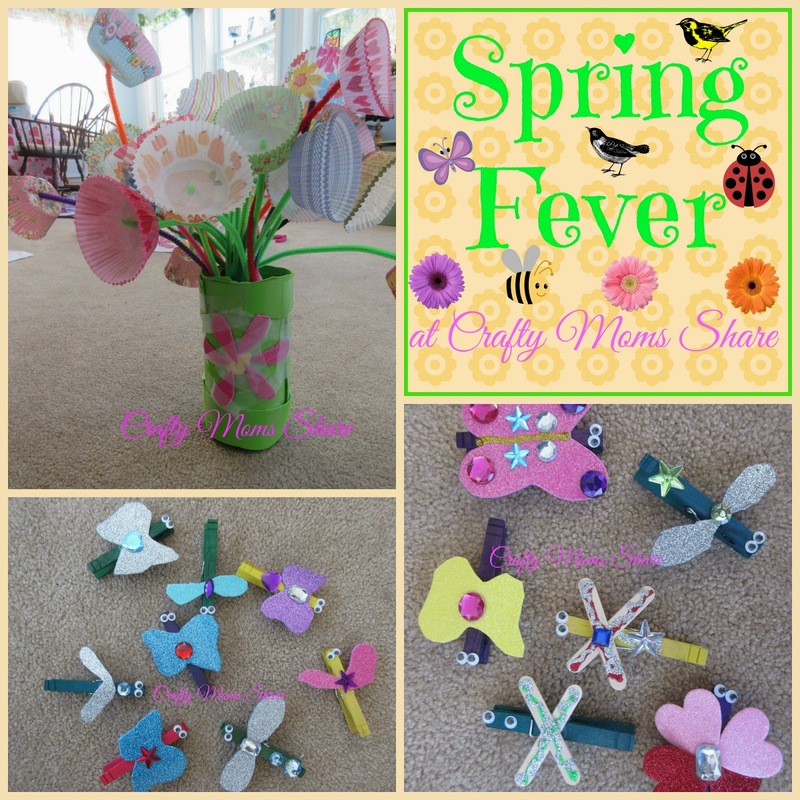 Since we have a bit of spring fever we have been working on some spring crafts. Hazel started by making a vase of flowers. She wrapped a recycled jar with craft foam and taped on a foam flower. 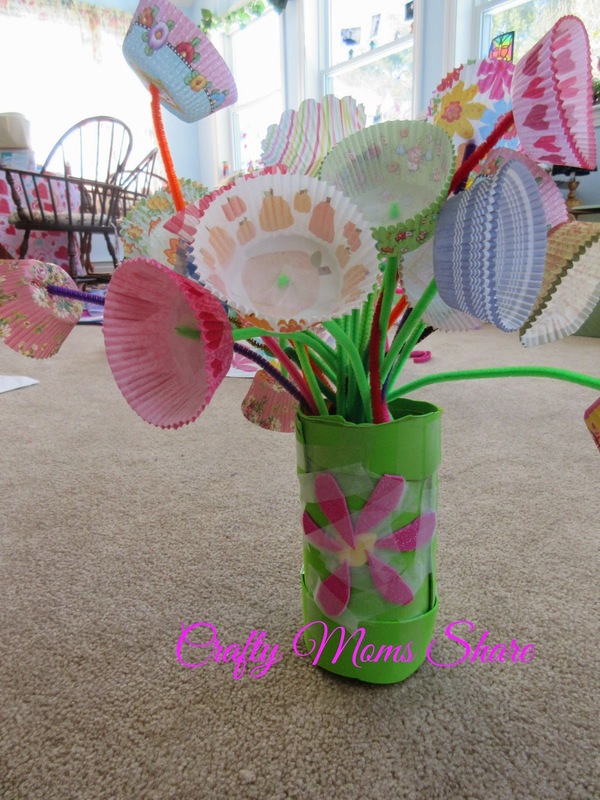 then she used her various cupcake liners and green pipe cleaners to be flowers. I love them!! They cheer the place up. 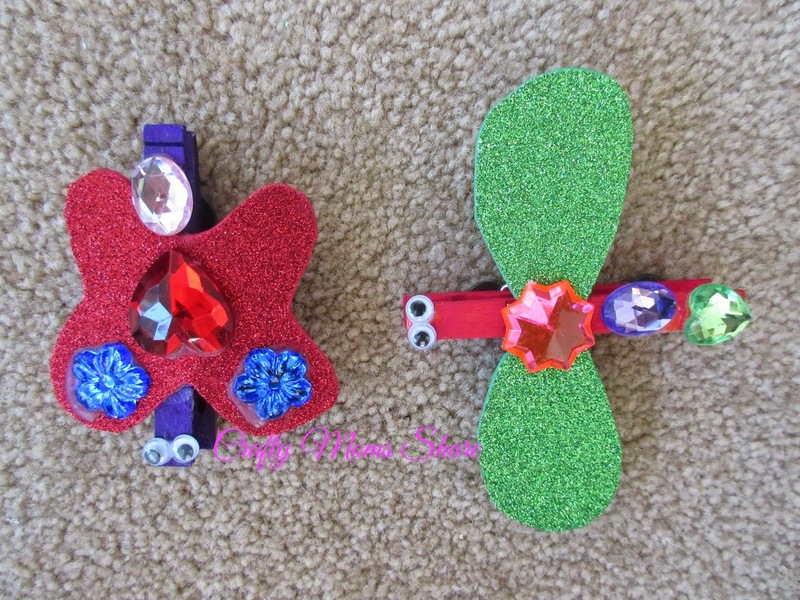 A few weeks ago we went to Lakeshore Learning for their free craft (we go most weeks), and Hazel enjoyed it so much she wanted to make more at home, so I bought the colored clips. Hazel started right away making more. 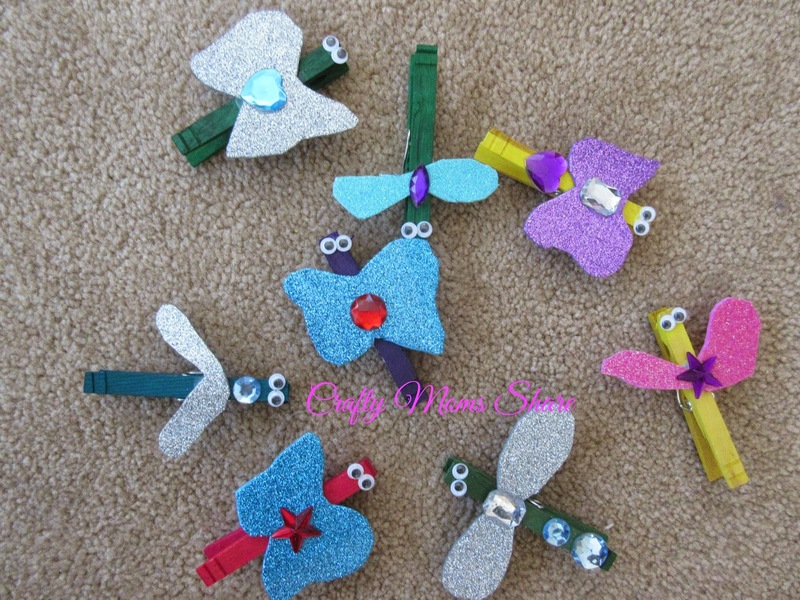 She decided not to put magnets on our clips since the plan is to hang them on her seasonal tree and get anything having to do with winter off of it. When I came over to do some we changed them up a bit. 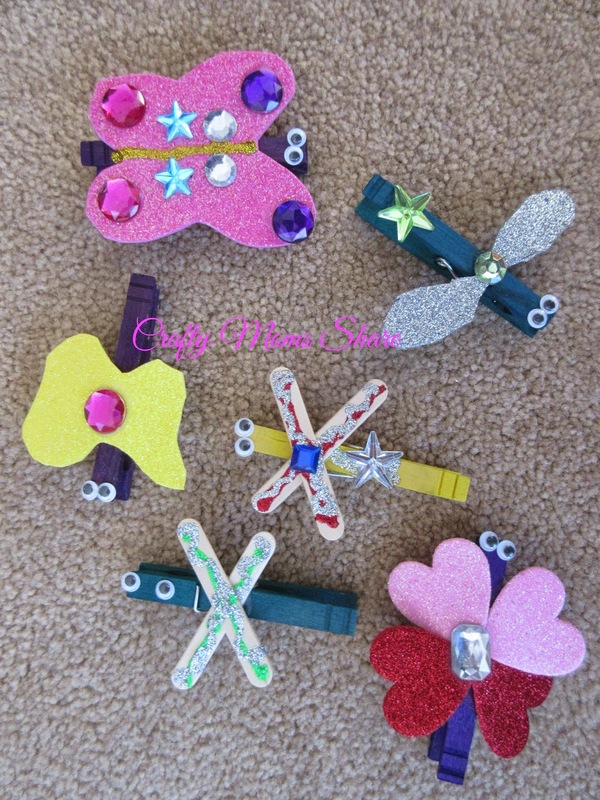 We used small craft sticks for wings like some of them pictured on the Lakeshore Learning web page and then we used some of our foam hearts as butterfly wings. Overall we had fun. Now to put spring on her tree! !